The brain of the Flex is a small, pendant-like device that can be switched from strap to strap. The Flex is platform-agnostic, and syncs via Bluetooth 4.0 and NFC to your smartphone. The Flex has decent battery life--5 days--and recharges quickly. 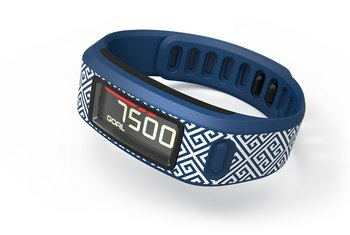 The Flex has no real screen, just a series of blinking LEDs that alert you to how much of your goal you've accomplished. The Flex is water-resistant but not waterproof, so you need to take it off when you swim. The Flex tracks sleep, but you have to put it in sleep mode with a series of taps--a process that is difficult to perfect. 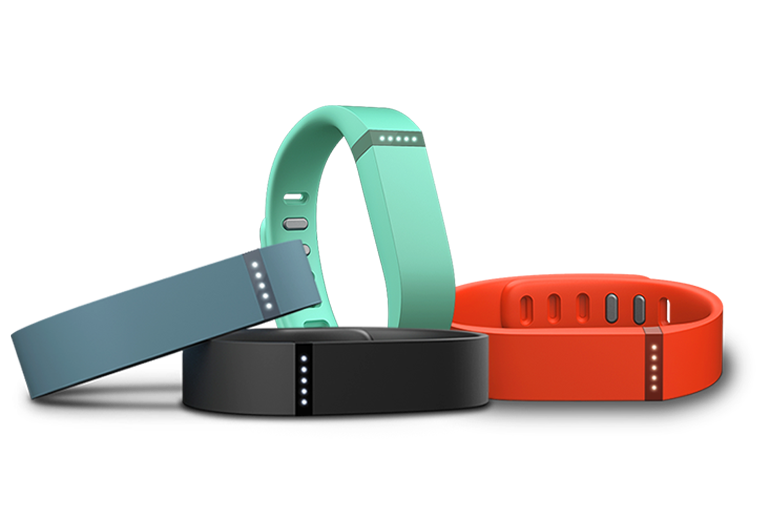 The Fitbit Flex is a minimalist fitness tracker with interchangeable bands. 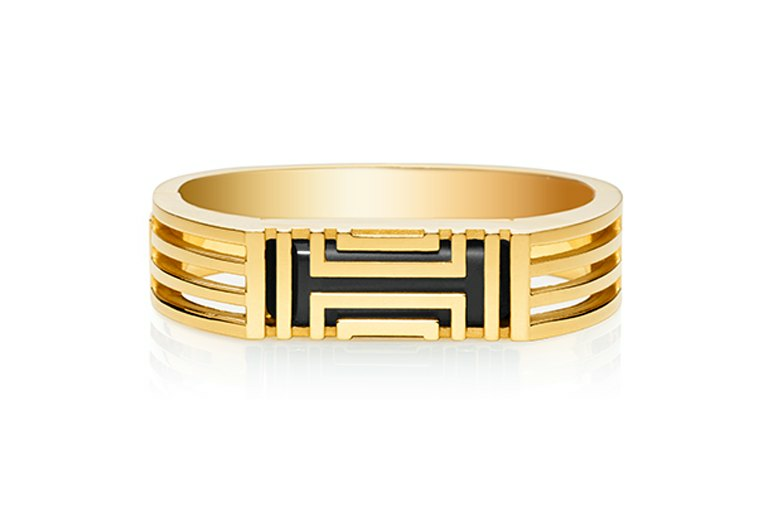 There are even designer bands from fashion houses such as Tory Burch. 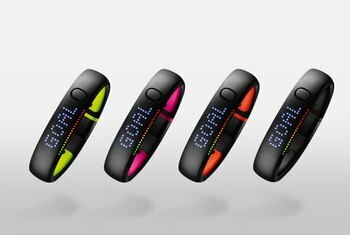 The Flex has no screen, but instead displays your progress through a series of LEDs that light up to indicate how much of your goal you've accomplished. This fitness tracker tracks steps, distance, calories burned, and sleep, but you need to put it in sleep mode manually and wake it up manually. 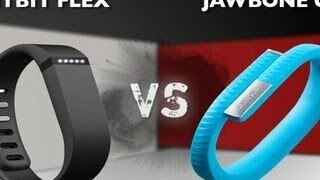 The Flex does not have an altimeter, so it can't track how many stairs you climb. Designed to be worn all day and all night long, the Fitbit Flex measures your total activity for every 24-hour period, including how much sleep you get at night. 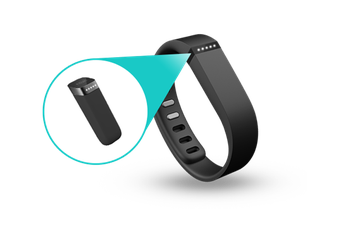 At Fitbit’s website, you can indicate whether you wear your Flex on your dominant or non-dominant hand, which adjusts the tracking in ways that the company doesn’t quite make clear. As the tracker itself fits into the wristband you can change bands when one wears out or you just fancy a change of colour. This isn't possible with most fitness wristbands. Battery life is very good, but not as great at the week-long battery life of the Up. Then again, recharging the Flex takes very little time that I don't think it's much of a nuisance. That said, the initiation process for kicking the Flex into sleep mode takes a little practice. You have to tap the device's screen six times to tell it to start recording your Z's. Only the right tempo of taps will work -- go too fast or too slow and the Flex won't register your input correctly. 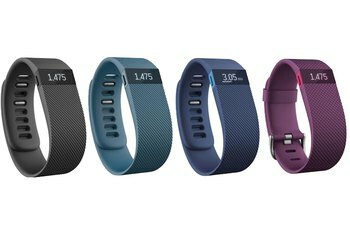 Fitbit’s other trackers have displays that show you the number of steps you’ve taken in that day, and how much distance they add up to. The Fitbit Flex doesn’t. 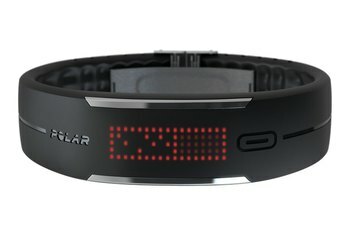 We like the idea of being able to view the time on the Fuelband which is notably missing from the Flex, but essentially comfort is the key concern here and we can safely say that the Flex is so light that is barely noticeable during the day which also makes it perfectly suitable to wear when you're asleep. Still, despite the extra convenience I experienced with the new Flex design, I’m still not in love with its aesthetic. 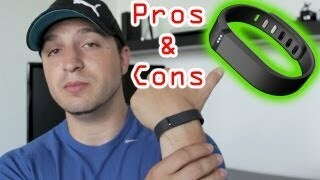 The band was more comfortable and unobtrusive than I expected it to be, but (like the Fuelband and UP) it’s still more of an accessory than I’d like it to be. But it’s “part of a complete breakfast”, you might say. The device itself will not make you fit. If you’re ready to make a change in your lifestyle and you’re prepared to push yourself into the next level of fitness, then this device is definitely for you. While there's no tip to lose like with the UP, if you lose the Flex's charger, you're SOL until you can get a replacement. It’s waterproof-ish — while you can’t take it diving, you can wear it in the shower. Thankfully the rubber strap is just a holder. 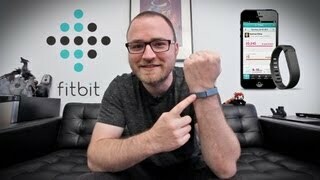 The actually Fitbit slips inside the band. Pop it out to charge by USB. The latest iteration of the short-range wireless standard, it promises significantly lower power consumption than before, meaning devices like Flex can remain connected without sucking through their battery in a matter of hours. 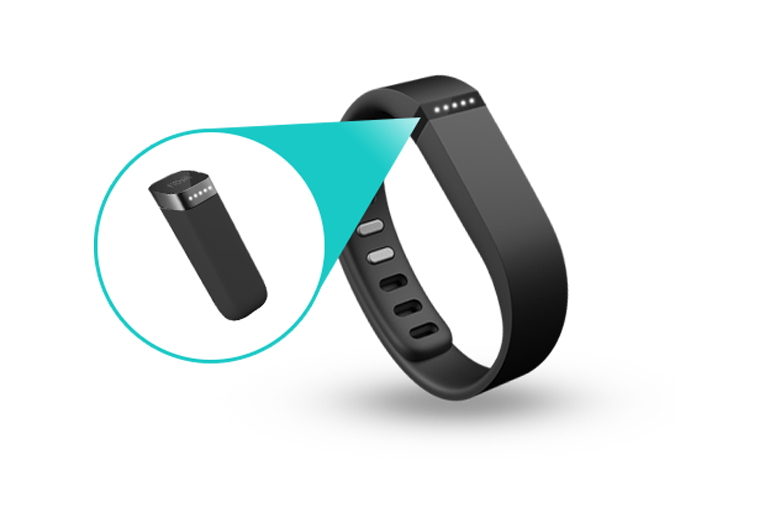 This device is great for tracking rudimentary health data--your steps alone. It is lacking the additional features that I consider mandatory for an activity tracker including the ability to track flights climbed (which are effectively more aggressive steps taken) as well as heart rate, which is the a much more accurate calorie burn tracker. This is a device that you have to wear but it doesn't give you very much useful information, despite taking an entire wrist. The FitBit Charge, for instance, offers a simple clock. I recommend checking this or the Charge HR out even more. The higher end option is the Apple Watch, but that does not offer sleep tracking, but many may not value this feature very much.